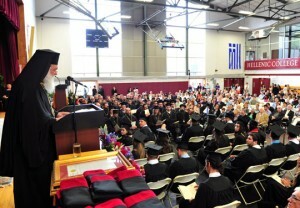 Holy Cross Greek Orthodox School of Theology conferred today an Honorary Degree of Doctor of Divinity, Honoris Causa, to His Beatitude Archbishop Ieronymos II of Athens and All Greece, during its 71st graduation ceremony. 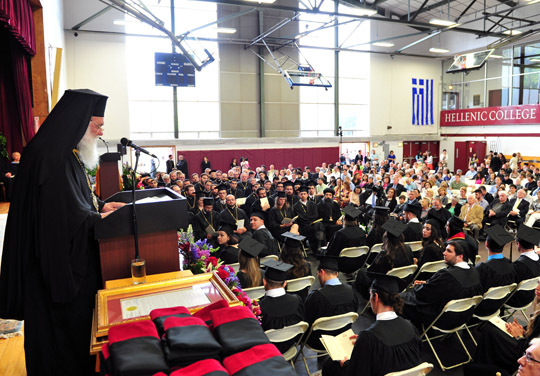 The conferral of Degrees to a total of 63 graduates followed, 20 were graduates from Hellenic College and 43 from the Holy Cross School of Theology. 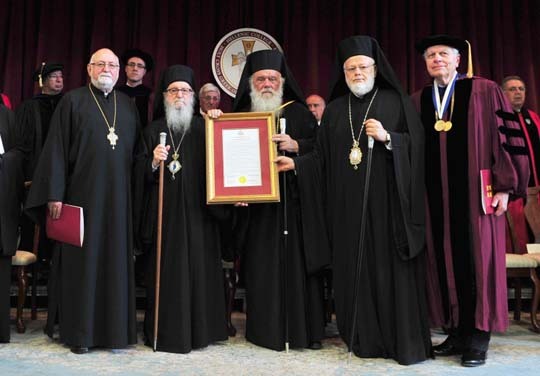 Tomorrow, Sunday, May 19, 2013, His Beatitude Archbishop Ieronymos II of Athens and All Greece will preside at the Archieratical concelebration of the Divine Liturgy at the Archdiocesan Cathedral of the Holy Trinity in New York. Concelebrating the Liturgy will be Archbishop Demetrios of America and the two hierarchs who accompany His Beatitude, Metropolitan Chrysostomos of Messinia, and Bishop Gavriel of Diavleia. The Divine Liturgy will be broadcast live by satellite through various outlets around the world, in Greece, the United States, Canada, Australia and in some European countries.